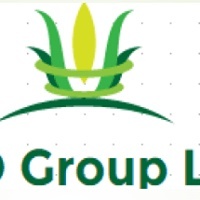 (sampling, testing, results in interpretation, mapping/layouts), contract farming, value chain Development and Management, selling of quality agro-inputs, consultancy services and market linkages. The company has two operating offices in Dodoma (HQ) and Mbeya (sub-office). Due to the increase in demand hence expansion of our services to farmers, we are obliged to offer more employment opportunities to young talented, ambitious and self-driven Tanzanians. Lead the team of 15 Junior Field Expects (JFE’s) to accomplish their day to day responsibilities through providing technical support for them to better understand key components of soil health management and principles of soil sampling hence proper handling prior to lab analysis. Prepare training manuals to cover Good Agronomic Practices for various value chains mainly Sunflower, maize, and beans. Coordinates the whole process, sites identification, soil sampling, coding, transportation of samples from the field to the lab, follow up result, interpretation, and recommendation and finally the presentation of results to farmers in the simple and understandable way. SFE is expected to have at least four years working experience in Agriculture sectors in technical positions. Skills in leading a team of 20 people in a participatory approach. A holder of either BSc. Agronomy, Horticulture or Agriculture General from an accredited University in Tanzania. Having a valid driving license and able to drive a manual car. Willing to travel and work in challenging environment. Expert in Microsoft Office (mainly Excel, Word, Powerpoint) and statistical programs preferably GenStat. Strong communication skills both spoken and written English and Swahili languages. P.O.Box 2478, Dodoma – Tanzania. An attractive remuneration package commensurate with responsibilities of the position will be negotiated with the successful candidate. Qualified female applicants are highly encouraged to apply.